Consumers may have certain expectations as to how a web site should perform, but true online success doesn’t simply follow convention. It innovates, and engages, and creates a unique user experience that is as exciting and rooted in brand personality as it is intuitive. We’re excited to announce that Corra will be attending Internet Retailer’s Web Design and Usability Conference (IRWD), taking place February 11-13 in OMNI Orlando Resort in Florida. The conference will provide strategies and techniques for creating websites that quickly communicate brand identity, product quality and assortment. 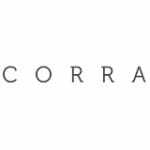 Come meet the Corra team in Booth #215! And for more information about the IRWD agenda, visit http://irwd.internetretailer.com/2013/?iprospect=irwd2013.